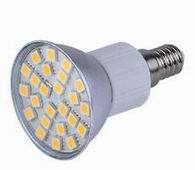 Welcome Shop LED Lights from LED Online store. Here is LED pool lights, DMX512 standard LED led pool lighting, pentair led pool lights, pentair pool products, led floating pool lights, led underwater pool lights, led patio lights, led pond lights, led party lights, led underwater lights, led underwater pool lights, led underwater video lights, led fish lights, led pond lights, led pool lights, led diving lights, underwater boat lights. These LED underwater Lights that provides marine lighting for smaller vessels. These LED waterproof light creates a dynamic impression, powerfully and elegantly penetrating the water with its wide white beam. These high intensity underwater lights come in five brilliant LED colors: "Great White", "Aqua Green", "Bimini Blue", "Ultra-Blue", and "Cool Red". The Bimini Blue is the most popular of our LED light colors and for you fishermen out there, it will definitely attract fish to your boat. With the appearance of factory equipment, the easy surface mount installation requires no major penetration through your boat's hull.